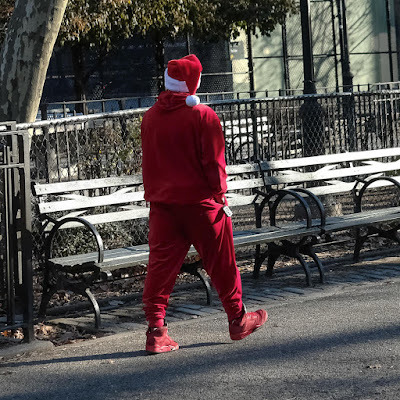 The past couple of days, as in the day after xmas and the day after the day after xmas, I have spotted random fully dressed Santas strolling about. A fetish, the only thing that fits after lavish holiday meals? I would asked one of these guys but that's what they may actually really want. Just now waking up from that Santacon bender.